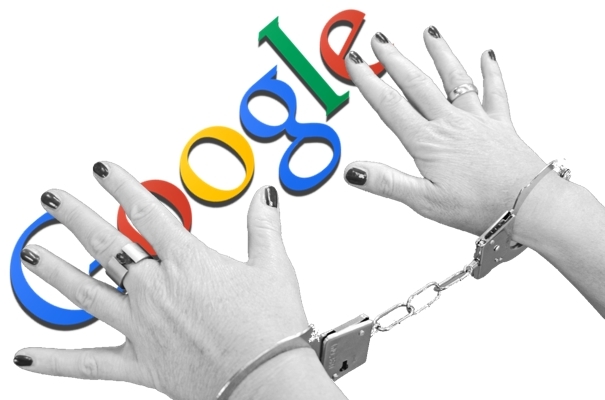 I’m chained to Google – Is that bad? Hello from the Interwebs. I came to a realization recently. It is a little unsettling and I’m oddly OK with that. I decided that I am all in with Google Apps for Education (GAFE). That may not sound like a bad thing, in fact it may make you scratch your head a bit and think Patrick, what’s the big deal? Well let me explain. First, let me give you a little background here. I teach middle school math and was looking for a free website that allowed students to practice specific math skills. Not a big deal, I mean there are a bunch of those websites out there. Here is the catch. I wanted the website to be able to track their progress. Again, plenty of options out there, but I kept looking and looking. What was I looking for you may ask? You got it. I was looking for Google integration. I didn’t want to set up accounts, I didn’t want to set up classes, I didn’t want to invite students or give them a code. I wanted to click a few buttons and have my classes set up and give my students immediate access. I eventually found what I was looking for with mathgames.com. I logged in, took a look around, synced my classes with Google Classroom and within 20 minutes had all my classes set up and my students had access. However, there is something that irks me about this website. It’s not the best one out there. Not by far. It’s not terrible and it does do what I would like (even if it’s not great). You see, the my conern is that I traded functionality, options and ease of use for my students for my own convenience. I know – shame on me, but it’s hard to say no to such convenience. Consider taking about a day or more of setting it up as opposed to twenty minutes? Like I said earlier, it’s not a bad site, it’s just not the best one and it had to be free. I have no budget for anything and I don’t need to tell you that time is more valuable than gold to most people in education. This site (review coming soon) isn’t going to be the crux of my lessons. It’s most likely not even going to be used for any grades. It is just a supplemental site so that parents can help students work on an endless supply of questions or that students can practice on their own. As I said my concern is how much am I willing to sacrifice for this Google integration? In this case, it’s not a terrible trade off, but what if I find a great website or service and it has no Google integration? What then? Will I pass on it for a lesser service just to save some time? What if I find something great but just don’t look any further than the Sign in with Google button. What do you think? An interesting question is it not? This entry was posted in Google Apps, Opinion, Patrick Cauley. Bookmark the permalink. 1 Response to I’m chained to Google – Is that bad?